I had the pleasure of being featured on Middle of the Map Weddings this week. It was exciting to see Urbane Montage on the Midwestern inspired wedding blog site! You can check out the post here. I definitely appreciate Emily for her intimate-get to know you- interview. She asked great questions and I used this opportunity to share my thoughts and background. 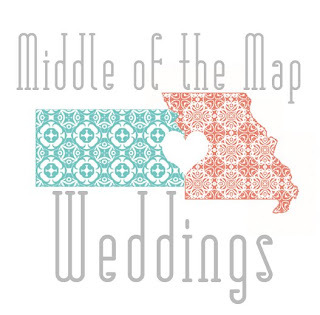 Enough about me and more about Middle of the Map Weddings! Emily Walters is the writer and creator; she is also the floral designer of emmy-ray in Kansas City (buzzy bee, if I may say so myself!). She created Middle of the Map Weddings to share inspiration, ideas, along with real weddings and vendors located in the Midwest. This site is definitely a great resource! You can also find Middle of the Map Weddings on Facebook and twitter!